Welcome to the land of stories, the land which presented the Mahabharata the longest epic ever written. It has so many stories that we know of and so many stories that we don’t know of. Quite incidentally the book that we now are reviewing is of Ganesh. Ganesh the son of Shiva and Parvathy is the celebrated God in Indian mythology and has expressions in being the remover of all obstacles and we know how grand is the celebration of Ganesh in Maharashtra which has come to symbolise the way Ganesh is celebrated. The best facet of our Indian storytelling is you could have many an interpretation and many a twist and take in the way the story is presented. That’s the reason we have so many interpretations of Ramayana and Mahabharata. In this book the story of how Ganesh lost his head is an endearing one. In south it was believed that Shiva was not allowed entry to see Parvathy by Ganesh since he was keeping a watch firmly doing what his mother told him to do. Never let anyone inside till I am done with my bath. Ganesh took this seriously and Shiva has no inkling that the child was Parvathy’s making and he when obstructed to see his own wife, cuts the lad’s head off in anger, only to be told by Parvathy that it her kid and he has done total injustice to the boy. Now the elephant with its head towards the north was the alternative that we have as common. In this narrative we do have a big ceremony to celebrate and then there is the Shani coming and looking at Ganesh and he gets the head burnt. Therein lies the interpretation of Shani being a part of the story. A classical story for night read for the kids and the way its has been illustrated makes for interesting read aloud stuff for the kids. A new story and a new interpretation is always welcome. The kids I am sure will relish this illustrations and storytelling through the pictures. Each of the four stories are embedded with nice instances that are easily assimilated by the young audience. The illustrations deserve a great appreciation that has the comic effect and also a story telling way. The story of Mahabharata is also a nice one wherein Ganesh decides to pull off his tusk to keep writing on the palm leaves. 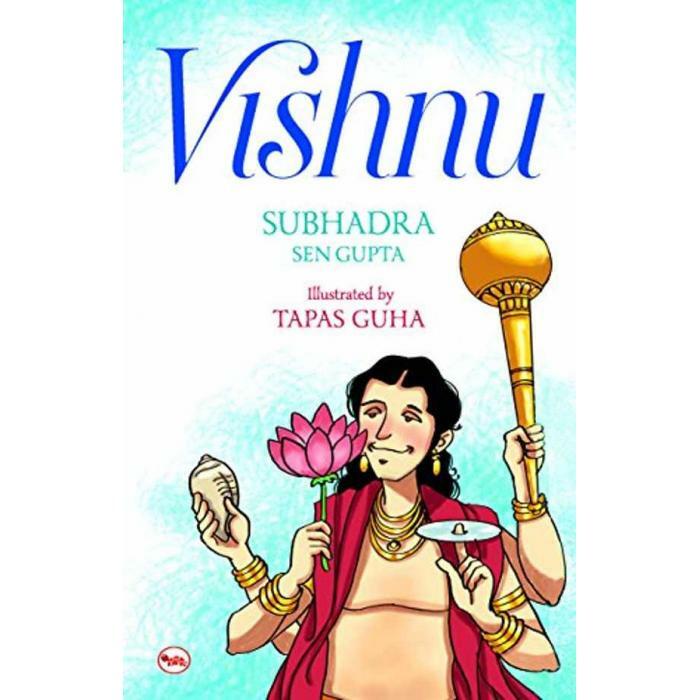 The illustration by Tapas Gupta add a very nice touch to the already fascinating story of Ganesh. I enjoyed this book for kids and i tried keeping this book around kids and saw they were pretty involved because of the format. 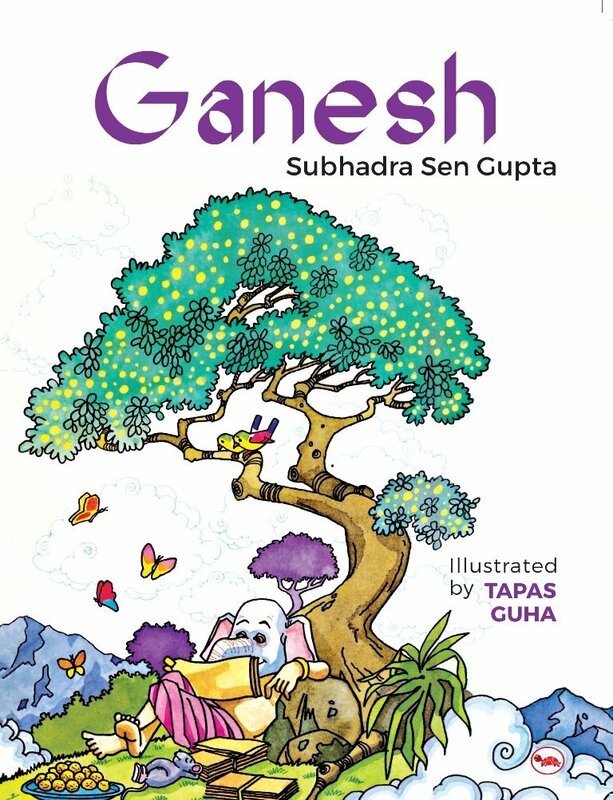 The author and the illustrator deserve every praise for the work that they have done and it sure will be a great way to introduce them to Ganesh with stories that make for fun reading.